Themes: siblings, brothers, sibling rivalry, family, sport, academics, school, resilience, disabilities, poetry. Teachers’ Notes: UQP produces some outstanding teachers’ notes and the ‘On Track’ notes here are no exception. 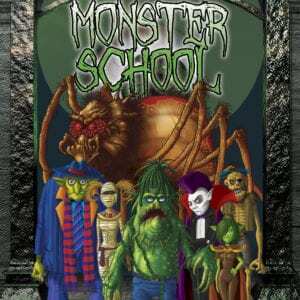 To purchase this book and add to your home, school or library collection, click on cover image or title links. Toby struggles at school, has a stumbly, fumbly, bumbly body and thinks that Sports Day is the worst day of the year. No matter how hard he tries, he’s not good at anything… except running away from his ‘big, better brother’. Shaun is top of his class and does everything first, better, best! He can’t wait for Sports Day — D–Day for discus. But when his ‘joke of a brother’ is around, nobody notices the things Shaun can do. Verse novels continue to astound me and are one of my favourite genres to recommend to reluctant readers (not too many words to overwhelm), to poetry loving young readers (beautiful way to learn more about free verse poetry), and to those who just love a good story (the narrative form is kept intact and due to the pared back words, the stories are tight). 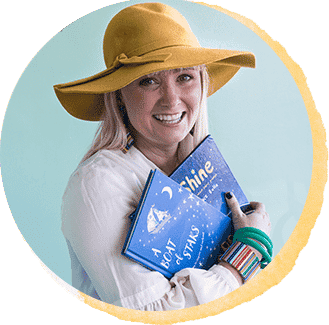 It takes a skilled writer to create a verse novel of worth, and Kathryn Apel has proven her skill with ‘Bully on the Bus’ and now ‘On Track’. Only a skilled writer can craft so few words into free verse poems which, when sequenced, form a narrative which is engaging, heartwarming and inspiring all at once. 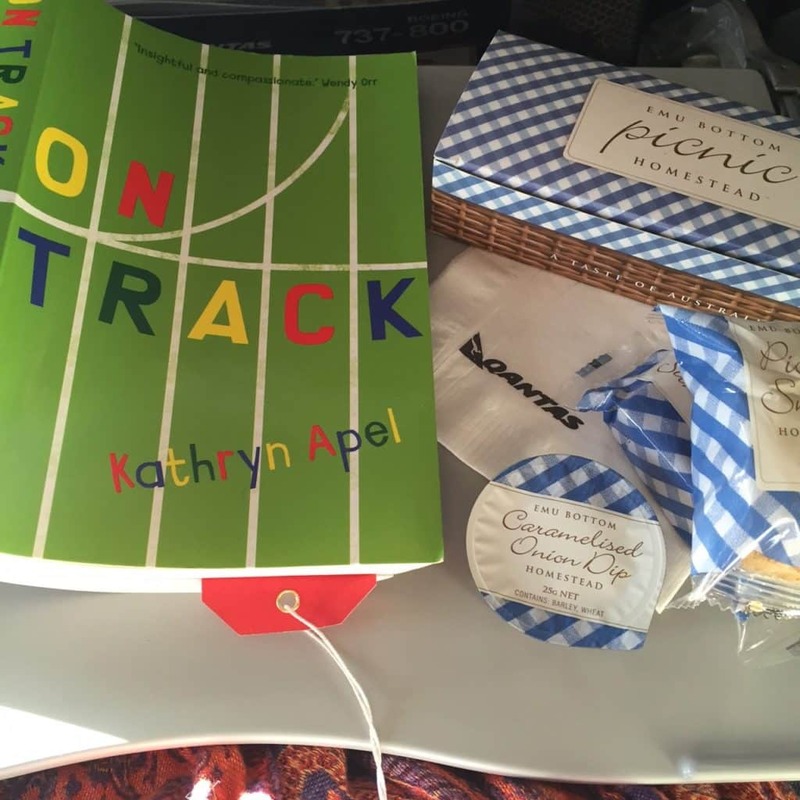 It is clear that Kathryn Apel cares deeply for all her characters in ‘On Track’. Each character is carefully crafted and all are believable, likable and have an important role to play within the story. With the alternate voices of Shaun and Toby, the reader gets right inside the heads of these two main characters; we see their struggles and successes and Apel ensures that she empowers them both through gentle lessons within a supportive network of family, school and community members. 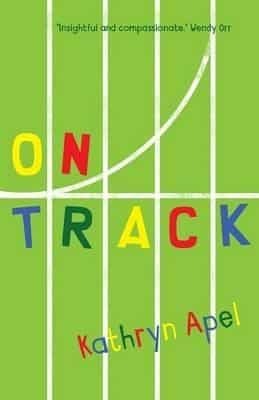 ‘On Track’ ticks all the right boxes for me in terms of a class novel study and I’m pretty sure class sets will soon be seen on school library shelves for study in Year Five or Six. 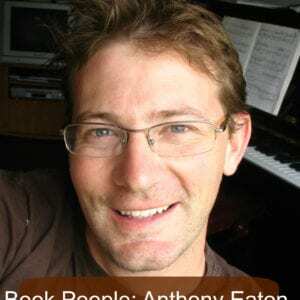 With themes of resilience, disability, family and believing in oneself, and literary and poetic devices such as alliteration, symbolism imagery and figurative language, ‘On Track’ meets curriculum and teacher requirements and students would have to work really hard to not engage with and enjoy the story. I discovered verse novels through the work of Steven Herrick (see here), Catherine Bateson and Sherryl Clark, I fell in love with the form through the work of Sally Murphy (see here) and now Kathryn Apel has added a fresh voice to the form and has cemented my love for verse novels. 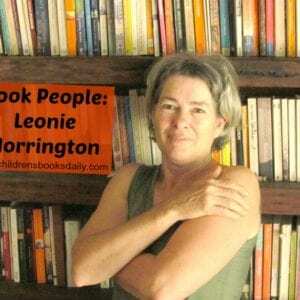 I await her next novel with eager anticipation. The book trailer for ‘On Track’ is below. 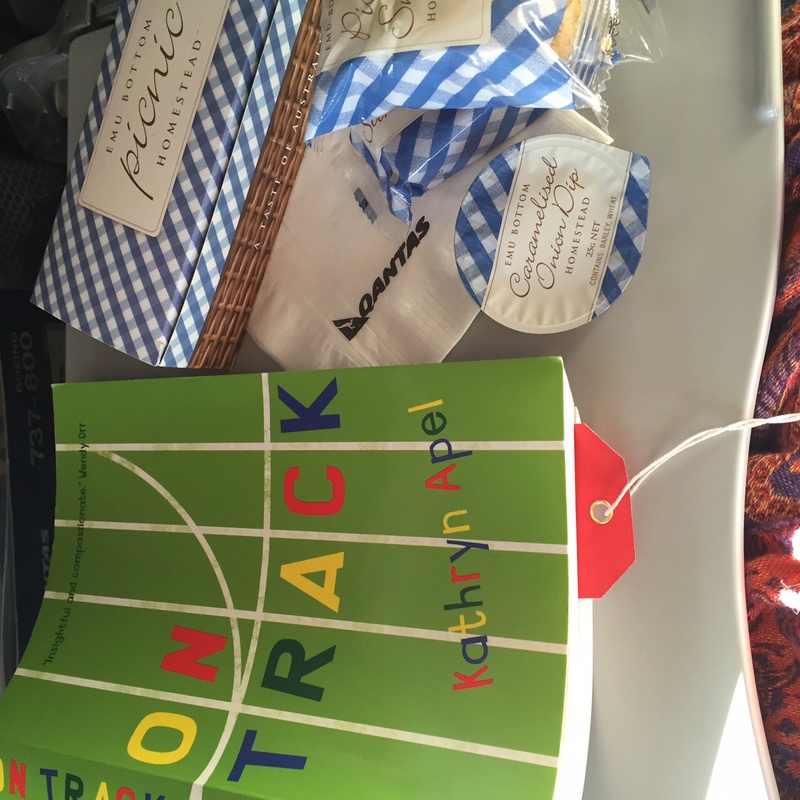 Side note: I read ‘On Track’ on a plane and the man next to me kept looking at the pages, clearly trying to work out what I was reading. I turned to him and said, ‘it’s a verse novel. It’s EXCELLENT’. Later in the flight (when I had finished ‘On Track’ and therefore could converse with the general public, he told me he had a son in Year Five who didn’t like books. I gave him my copy of ‘On Track’ and promised him his son would finish it and love it. I hope he did.